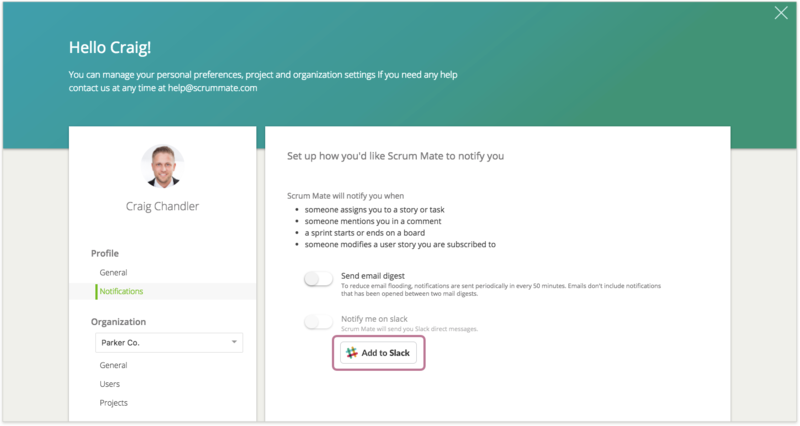 To forward your personal Scrum Mate notifications to Slack as a direct message. Now, your personal Slack integration is set! 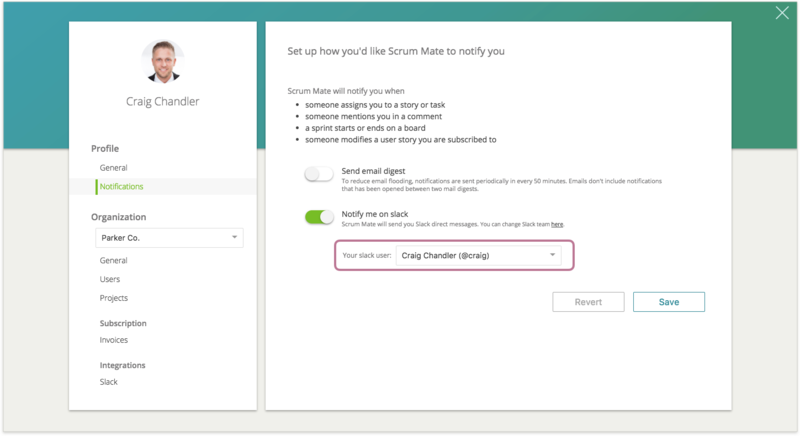 You'll receive your Scrum Mate notifications as Slack direct messages. 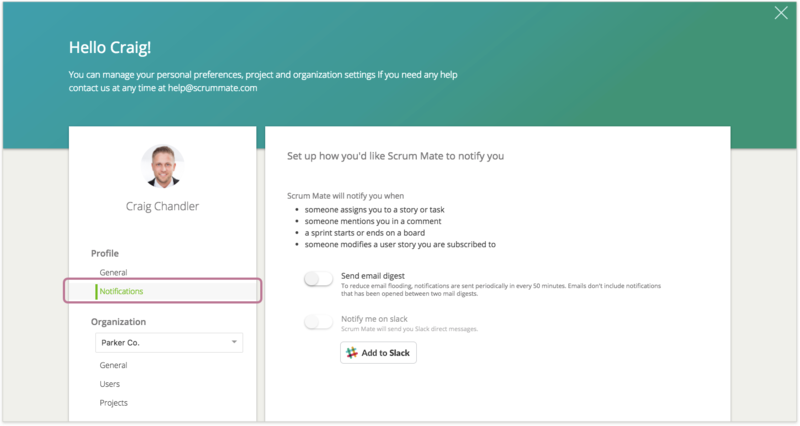 You need a Scrum Mate Admin role to connect a Slack channel to a Scrum Mate Backlog or Board. 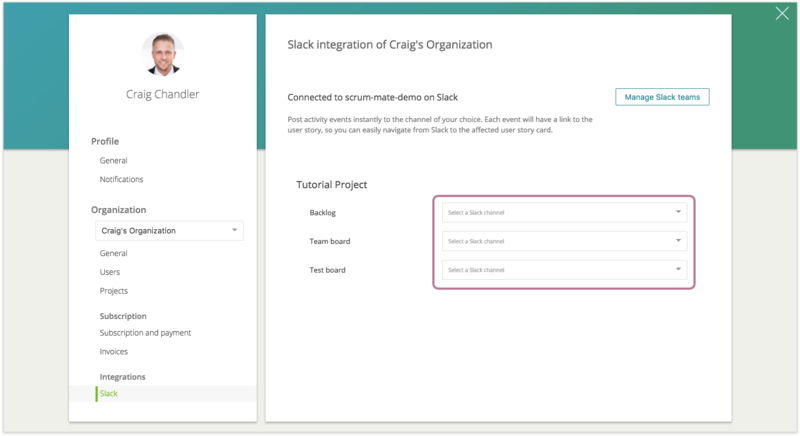 When a board or backlog is connected to a Slack channel, activity logs will be forwarded to the Slack channel. Your selection will be saved automatically. From now, event logs from the chosen boards and backlogs will be forwarded to the selected slack channel. 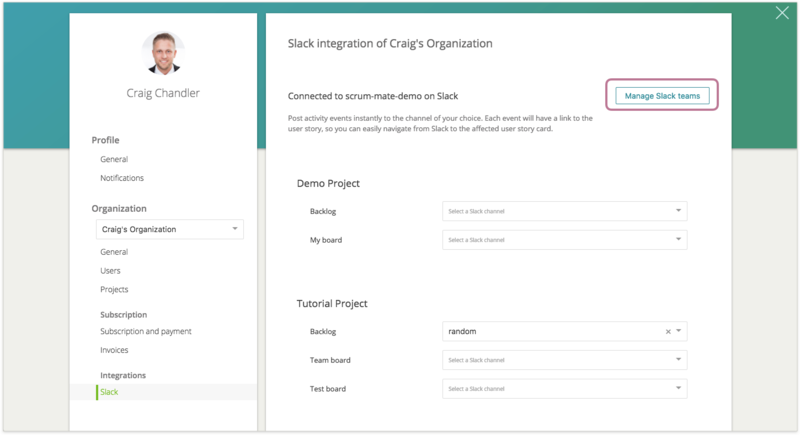 You can connect your Scrum Mate Organization to multiple Slack teams. 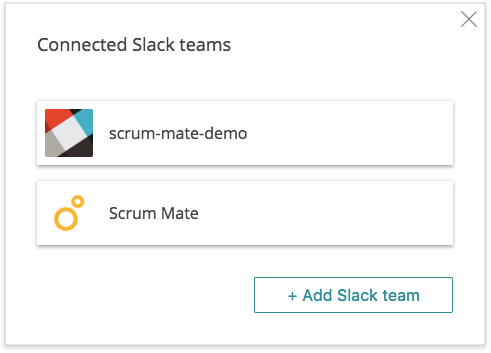 This can be useful if your Scrum Mate projects are related to separate Slack teams. To manage multiple Slack team integrations, click on the 'Manage Slack teams' button on the Slack integration settings screen. 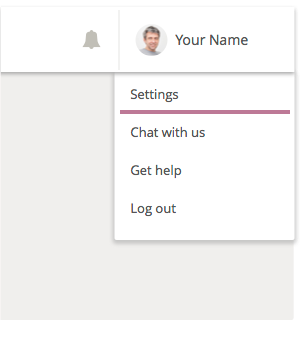 Click on the '+ Add Slack team' button to connect to a new Slack team. 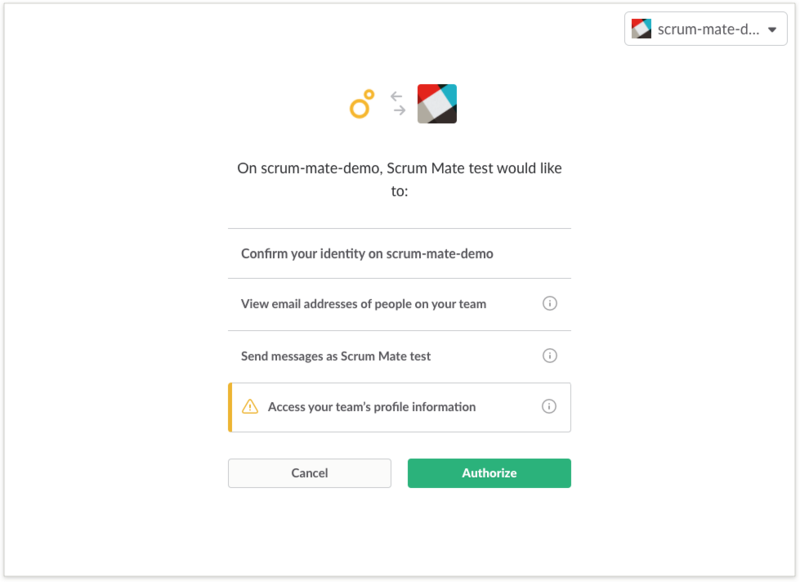 To remove a Slack integration from Scrum Mate, move your mouse pointer over a Slack team, and click on the red X button. Click on 'Delete' button to confirm and delete.